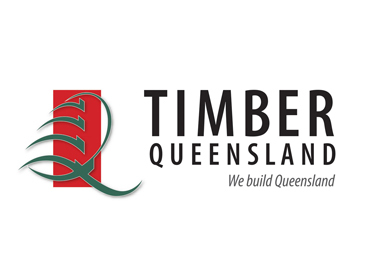 Timber Queensland held its Annual General Meeting last week. A unanimous decision by members present, elected Mr. James Hyne, Stakeholder Engagement Manager, Hyne Timber as the new Chair and Mr. Paul Bidwell Deputy Chief Executive, Master Builders Queensland as Deputy Chair. Timber Queensland Chair Mr. James Hyne said the incoming Board has a strong eye to the future given the significant potential for further industry growth and development. “A key strength of the industry body is its diversity of members and Directors who understand all facets of the industry and the opportunities that are available for future growth,” said Mr. Hyne. “Timber Queensland provides a united, powerful voice on political, technical, market development, industrial and environmental issues. As an industry, we have a positive story to tell as timber really is the ultimate renewable,” he said. “We also look forward to the launch of the Queensland Parliamentary Friends of the Queensland Forest and Timber Industry Network in 2019, with the inaugural reception to take place in the Premier’s Hall on 27 February,” Mr. Hyne said. Timber Queensland Chief Executive Officer, Mick Stephens said the Board has identified some key priorities going forward, including long-term resource security and manufacturing competitiveness, including low cost energy and opportunities such as promotion of bioenergy. “Now, more than ever before, our industry’s future rests on Government decisions that will be made during the next few years. These decisions will impact resource availability and will influence manufacturing investment and the use of our products in the built environment,” said Mr. Stephens.